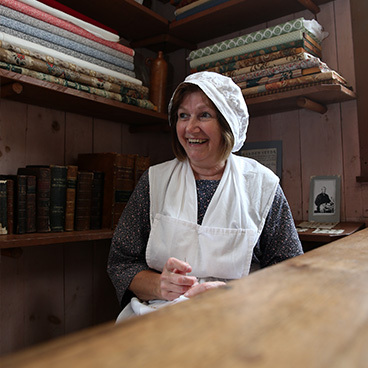 Travel back in time to discover 1780s Nova Scotia and the recently settled town of Shelburne, where thousands of Loyalist refugees began new lives after the American War of Independence. 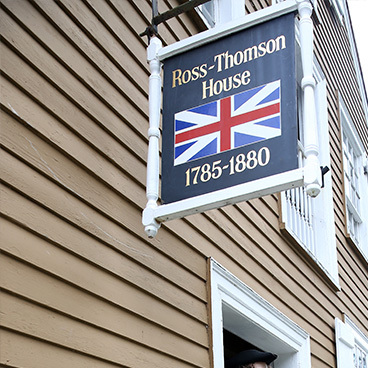 It is in this historic store that seasoned merchants George and Robert Ross carried on international trade in tea, coffee, rum, port and wine, offering both necessities and luxuries to the town’s residents. Stroll Ross-Thomson House & Store's gardens; step up to the store’s counter and ask the clerk about the kinds of goods the Ross Brothers once bartered and sold; spend time inside the living quarters, furnished in the sparse but elegant style of the period; and visit the Militia Room above the shop where you might meet a 1780s militia guard. Step into this authentic harbour-side dory factory to discover the historic Shelburne Dory and the world of the Grand Banks fishery as it existed from 1880 to 1971. Lightweight and versatile, dories are small, shallow-draft boats with flat bottoms, high sides and sharp bows. Easy to build, thanks to their simple lines, and able to withstand the rugged ocean, dories were the backbone of the fishing industry, both in Nova Scotia and around the world.